Average first-time buyer deposit falls by 8% – can you buy a home now? The average first-time buyer deposit was almost £4,000 lower in the last financial year, according to a new government housing survey. Could you have saved enough deposit to buy a property without realising it? The annual English Housing Survey revealed the typical deposit paid by a first-time buyer in 2017/18 was £44,635, down from £48,591 the year before. This means it’s fallen by £3,956, or 8.14%. Which? 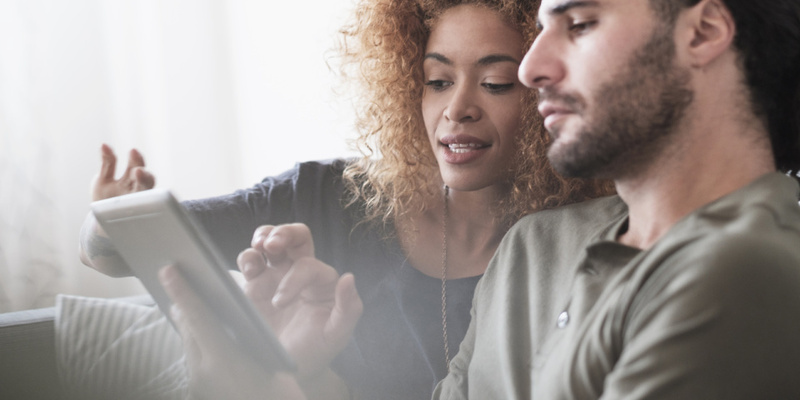 takes a closer look at how first-time buyers have achieved their home ownership dreams and offers advice on how you can do the same. Online calculators can only give a rough idea. For an expert view on how much you can borrow, and how much deposit you’ll need, call Which? Mortgage Advisers on 0800 197 8461. Are things getting better for first-time buyers? The English Housing Survey reports on two types of averages. The first is the mean, which is calculated by adding together all the deposits paid and dividing that by the number of first-time buyer households. The second is the median, which involves listing every individual deposit paid from lowest to highest and taking the number that falls exactly halfway down the list. The mean first-time buyer deposit has fallen in the past three years, peaking at £48,831 in 2015/16 before falling to £44,635 in 2017/18. However, the figures tell a different story when looking at the median first-time buyer deposit, which rose slightly from £22,000 in 2015/16 to £25,000 in 2016/17, remaining in 2017/18. So, why are the two figures so different? In a nutshell, the mean is affected by outliers in the data – in this case large deposits for more expensive homes – and this is why many argue that the median is the more useful figure to look at. However, all averages should be taken with a pinch of salt and you should investigate what’s happening in your own area to find out what you’ll actually have to pay. Find out more: the map in our mortgage deposits guide shows the average deposit paid in each local authority. First-time buyers in England (excluding London) were also able to get onto the property ladder slightly sooner in 2017/18, at the age of 32.6, compared to 33.1 in 2016/17, according to the report. However, buyers in London had to wait slightly longer, typically taking their first step onto the ladder aged 34.5 in 2017/18 – later than a year earlier, when the average age was 34.1. How much deposit do you need to buy a home? The English Housing Survey found that, of the 785,000 first-time buyers in England, more than two-thirds (67.5%) paid a deposit of less than 20% of the purchase price of their property. Just 11,000 first-time buyers (1.5%) took out a 100% mortgage, while 149,000 (20.6%) had a deposit of 1-9% and 330,000 (45.5%) had a deposit of 10-19%. A lucky 6.8% of first-time buyers, meanwhile, bought outright with no mortgage at all. In general, first-time buyers will need a deposit of at least 5% of the property’s value to get a mortgage. A mortgage lender will then lend you the remaining 95% of the price. The total deposit you need to aim for depends on the property’s value. For example, a 5% deposit on a £200,000 home is £10,000 and you could apply for a mortgage to make up £190,000 of the sale price. But a 5% deposit on a £150,000 home is £7,500 – so you won’t have to save for as long to get the ball rolling. That said, the more you can save the better. Generally, the bigger the proportion of a property price you can put up yourself, the better the mortgage rate you’ll be able to get. If you’re struggling to save a deposit, though, there is a growing trend for lenders to offer ‘no-deposit’ 100% mortgages that are backed by a guarantor, which could be a parent or grandparent. There’s also a wide variety of schemes to help first-time buyers with small deposits or those buying in expensive areas including Help to Buy and shared ownership. Find out more: how much deposit do you need for a mortgage? How do first-timers buy their homes? More than half (56%) of first-time buyers bought their home jointly with a partner or spouse while 43% bought alone, according to the survey. Almost all first-time buyers in England (99%) had a repayment mortgage. Nearly half (46%) had a mortgage of 30 years or more; 50% had a deal lasting 20-29 years, while a small proportion (3%) had a 1-19 year mortgage. Borrowing for longer can help improve your mortgage chances. By spreading repayments beyond the traditional 25-year period you can lower your monthly repayments which can help you meet strict affordability requirements. However, increasing the term of your mortgage means you will pay more interest over the course of the loan and could mean you end up borrowing into retirement. Find out more: are lenders really offering 40-year mortgage terms to first-time buyers? If you’ve started saving for a home and are itching to take that first step onto the property ladder it can help to talk to someone in the know. You can have a free consultation with an expert from Which? Mortgage Advisers by calling 0800 197 8461 or filling in the form below. They can advise how much you need to save and how much you could potentially borrow – and, if you like, they can also help you find the best deal when you’re ready to apply.